Decorative fur pillow Canadian raccoon from the North American Fur Auction (NAFA) in Canada. 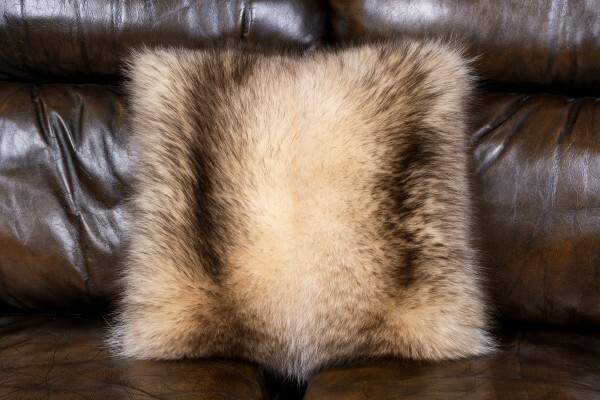 This real fur pillow gives every home that certain "something" that makes your living environment even more enjoyable. The raccoon skins come directly from Canada, we always obtain our materials directly from the fur auctions to guarantee high-quality products. Ссылки на другие веб-сайты "Fur Pillow Canadian Raccoon NAFA"
Оценки покупателей по "Fur Pillow Canadian Raccoon NAFA"